"Rat Pack President Shows How to Train Less for Muscle Gain"
Learn how magical 80/20 laws help you train less for muscle gain. “Don’t just do something, stand there!” quipped Ronald Reagan… only the US president wasn’t joking. Instead the most powerful man on the planet was busy utilizing 80/20 principles and turning these magical laws to his advantage. These 80/20 principles and magical laws allowed Reagan to relax in the biggest job on earth. When others were maniacally working around the clock like hamsters on a wheel, he would finish work at 5PM then spend the evening watching TV with his wife, Nancy. Did this mean Reagan didn’t work hard? No. Not at all. It just meant he worked smart. You don’t become US president without effort. 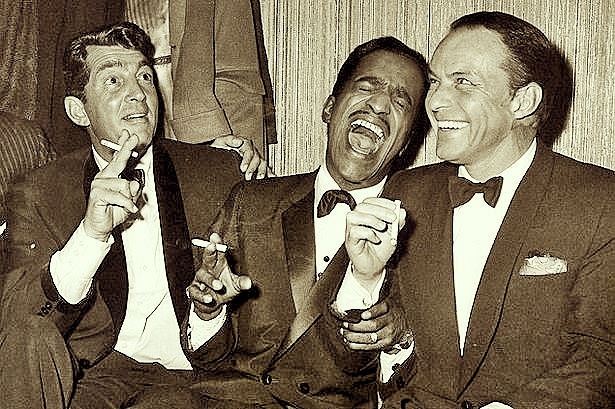 So how did this Rat Pack fan remain stress-free? He lived by the 80/20 principles that we should all live by, which states: 20% of our efforts produce 80% of the results. According to the theory, these principles apply to everything. In business, this sees most of the work coming in short bursts of productivity surrounded by barren, low value periods. This therefore throws up the question: if only 10% of our time is ever used to any great effect, what happens to the remaining 90%? Depressingly, the time gets spent in low quality and ineffective ways. The time gets wasted. So, how does this help your weight training? Well, just like US president Ronald Reagan, you can utilize the 80/20 principles and turn these magical laws to your advantage. Instead of working long, hard hours sweating in the gym, you can train less for muscle gain and work smart. This means you make every second – and every exercise – count. And there is a simple way to make this happen. How? By selecting routines that follow the 80/20 rule and principles… the kinds of abbreviated workouts you will find on my site.